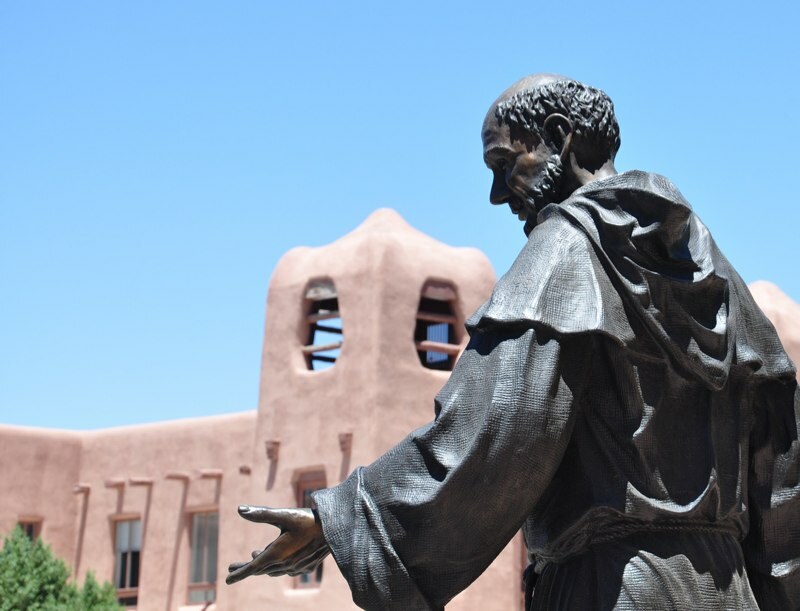 Centuries before the arrival of the Spanish, the area around Santa Fe was along an ancient trading route that connected the Aztec Empire in Mexico and other Mesoamerican civilizations with various groups of Indians throughout the Southwest along the Rio Grande. With the arrival of the Spanish and their conquest, the route was termed the El Camino Real de Tierra Adentro or “the Royal Road of the Interior Land” and proved to be a valuable communication and trading route between Mexico City and Santa Fe. Steadily the route became a major importer of Spanish culture and goods into the local landscape. The historical interactions, relationships, partnerships and collaborations along these different trade routes helped transform our country’s identity and with the help of the railroad, helped expand our borders and connect East to West. 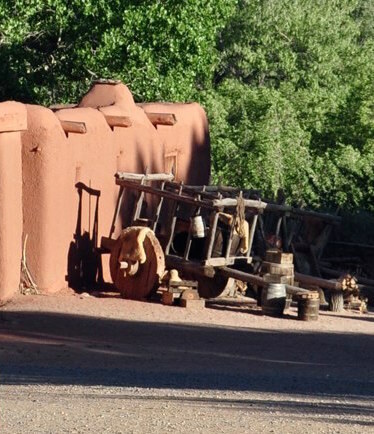 To this day, the City of Santa Fe celebrates the importance of these trading routes with a number of very special open markets on the Plaza in downtown Santa Fe. Along with an abundance of Santa Fe art galleries and boutiques, these festivals add to our city's artistic charm and help bring international acclaim and thousands of visitors each year. There is nothing quite the like the smells and colors of two of New Mexico’s most famous markets! 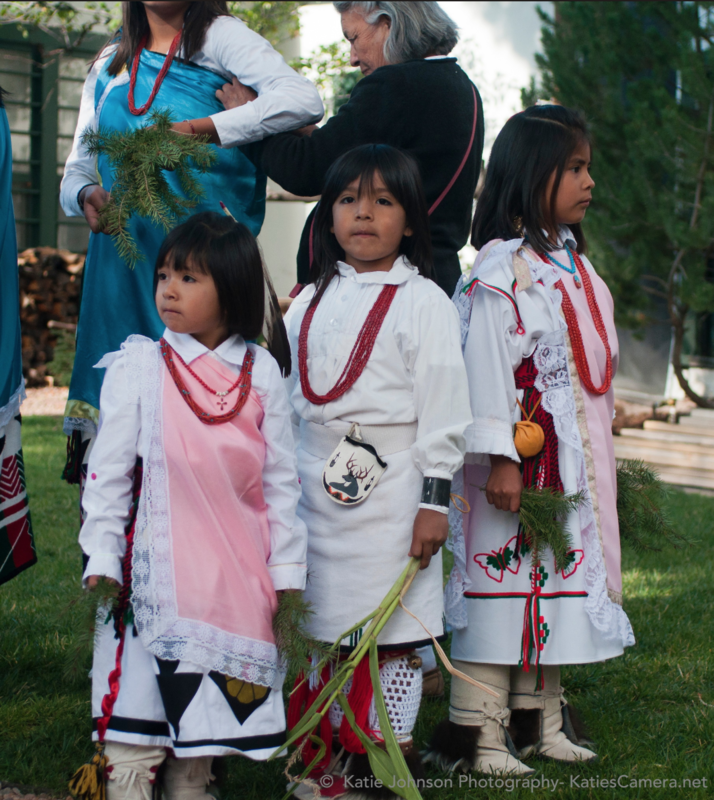 The Santa Fe Indian Market has been a summer tradition since 1922 and was originally held as the Southwest Indian Fair by the Southwestern Association for Indian Arts (SWAIA). What once held a few thousand pieces of pottery, textiles, silver, beadwork and paintings, the Santa Fe Indian Market is now one of the world’s most renowned Native american art festivals with over 1,200 artists from over 100 tribes from around the country. When is the Santa Fe Indian Market? The Santa Fe Indian Market takes place every summer during the third weekend in August. The 98th Santa Fe Summer Indian Market is August 17-18, 2019. You can find information regarding the Santa Fe Indian Market at www.swaia.org. ¡Viva La Cultura! No summer in Santa Fe is complete without the celebrations, music, and cultural events of the annual Santa Fe Traditional Spanish Market. 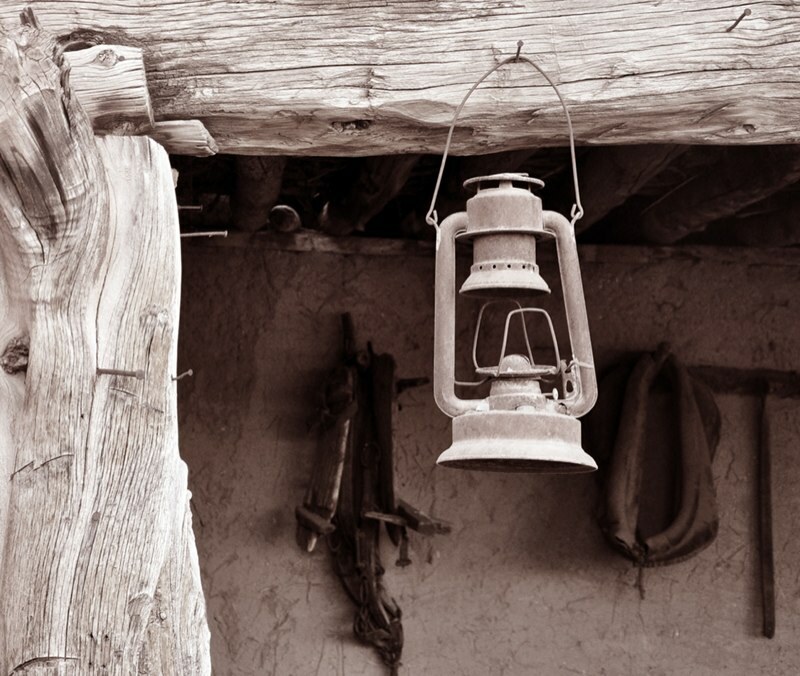 Attracting upwards of 70,000 visitors, locals, enthusiasts and collectors alike each July, the market plays a vital role in preserving the historical traditions that are unique to New Mexico. This free, juried art market features around 250 Spanish Colonial Artists from around New Mexico and Colorado. Art pieces range from regional Colcha embroidery, tinwork, furniture, textiles, santos, ironwork, pottery, bonework, woodcarving and more. Organized by the Spanish Colonial Arts Society, this fantastic market offers a unique opportunity to meet the artisans and ask questions about their craft, their process and their lives. Enjoy the art demonstrations, music, dancing and regional foods in one of Santa Fe’s most traditional art markets! Adobe Destinations offers perfect vacation homes for your stay during the market that are near the downtown and all the festivities. Be sure to book early to reserve your spot! 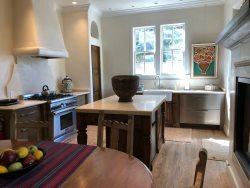 See all our Santa Fe rentals. When is the Santa Fe Spanish Market? The Spanish Market in Santa Fe is the first full weekend of July each summer. This July 29th & 30th of 2017 marked the 65th consecutive Spanish Market. 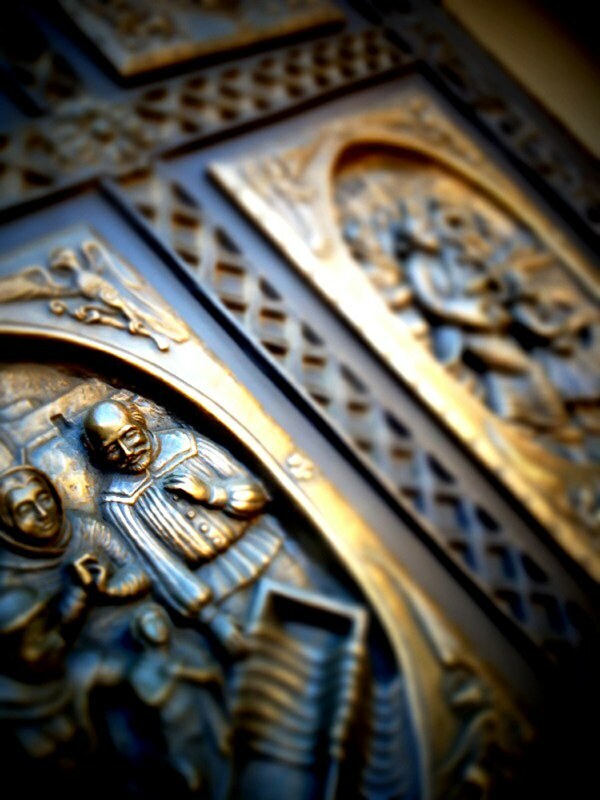 You can find info regarding the Santa Fe Spanish Market at www.spanishcolonial.org/spanish-summer-market-santa-fe. Situated at Museum Hill off the Old Santa Fe Trail, the International Folk Art Market invites the world’s crafters from over 60 countries to come showcase their extraordinary collection of exotic textiles, skillfully mastered jewelry, baskets, ceramics and more. A stroll through this elaborate market with its colorful canopies, beautiful people and decorative artwork is a truly unique experience and will leave you exploring your next big travel destination. The market, developed by the International Folk Alliance, brings together more than 150 artists from indigenous communities from around the world and is a leader in creating positive social change in the lives of thousands of artists, their families and members of their communities. 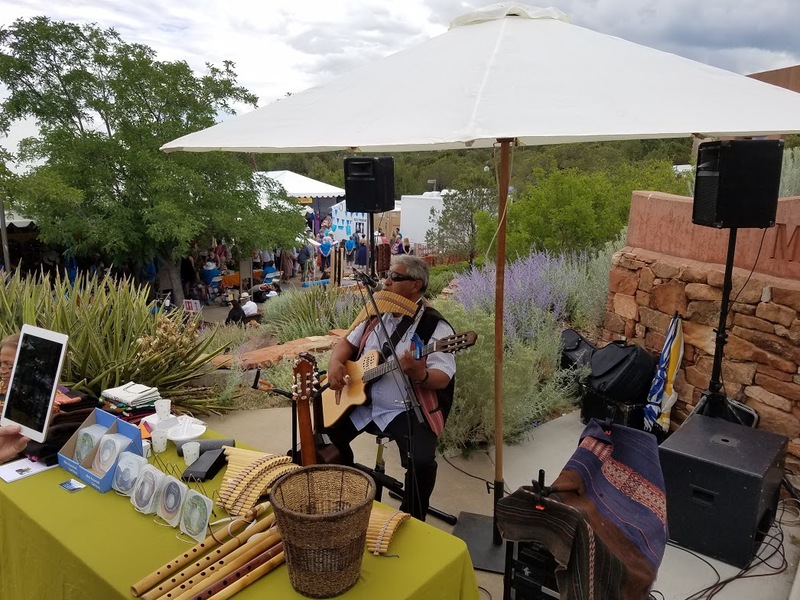 Every July in Santa Fe you will have the opportunity to enjoy international food, dance to live world music performances, interact with the artists and listen to their stories as well as change entire communities with your purchases at the International Folk Art Market. When is the Santa Fe International Folk Art Market? In what is now the largest market of its kind in the world the International Folk Art Market is every July in Santa Fe, New Mexico. The next market will be held July 12, 13 & 14, 2019. You can find information regarding the Santa Fe International Folk Art Market at www.folkartalliance.org.